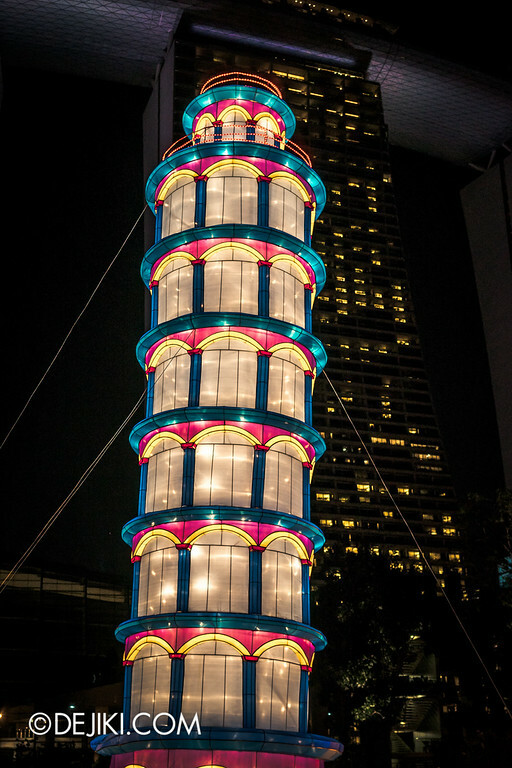 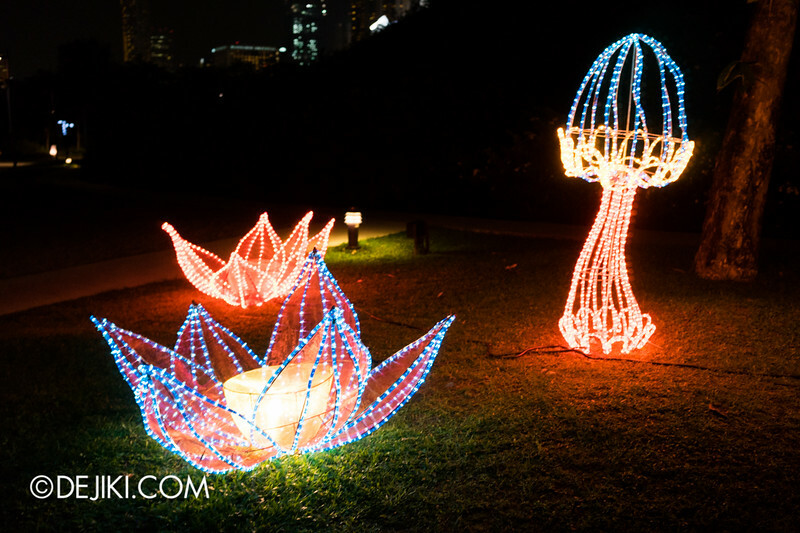 Spectacular lantern displays, cultural performances and activities illuminate Gardens by the Bay with festive joy and bustle. 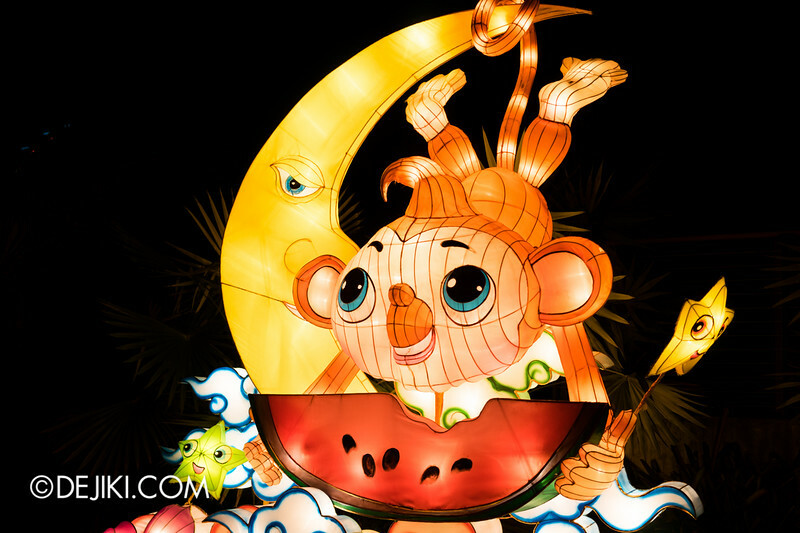 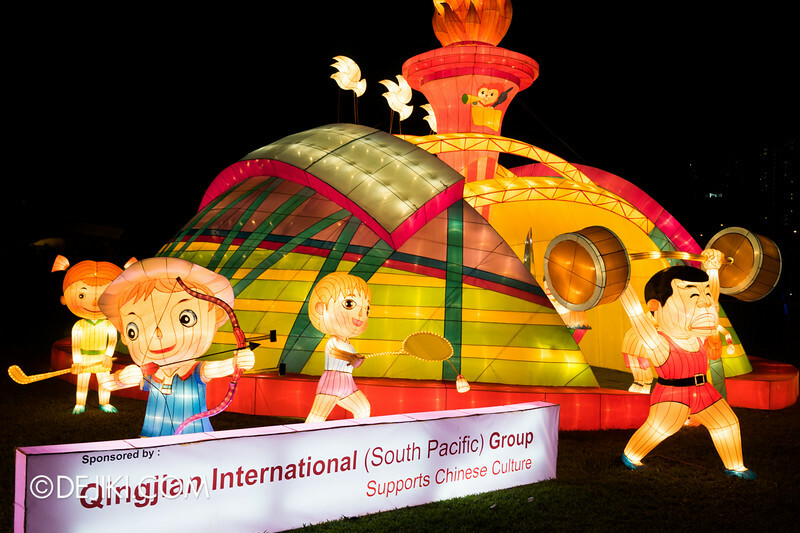 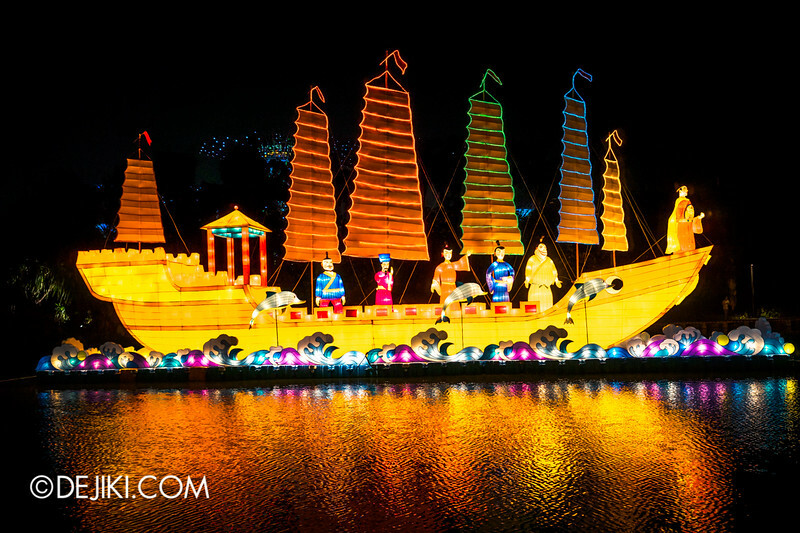 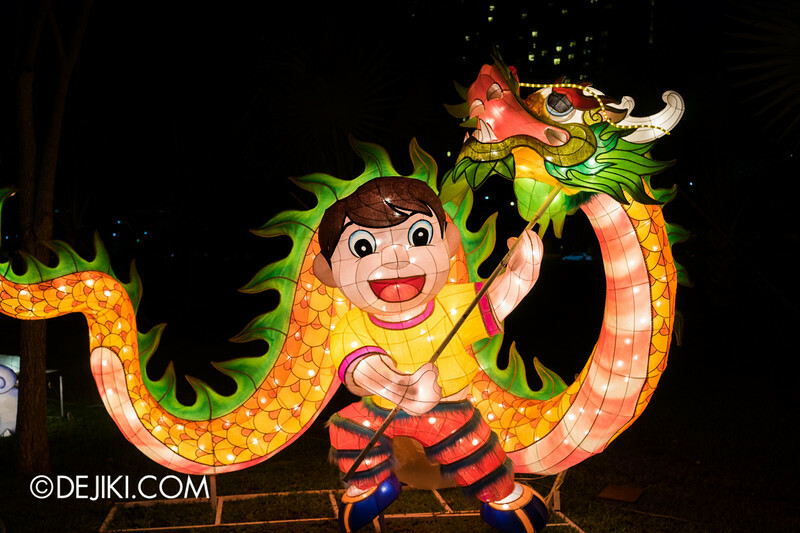 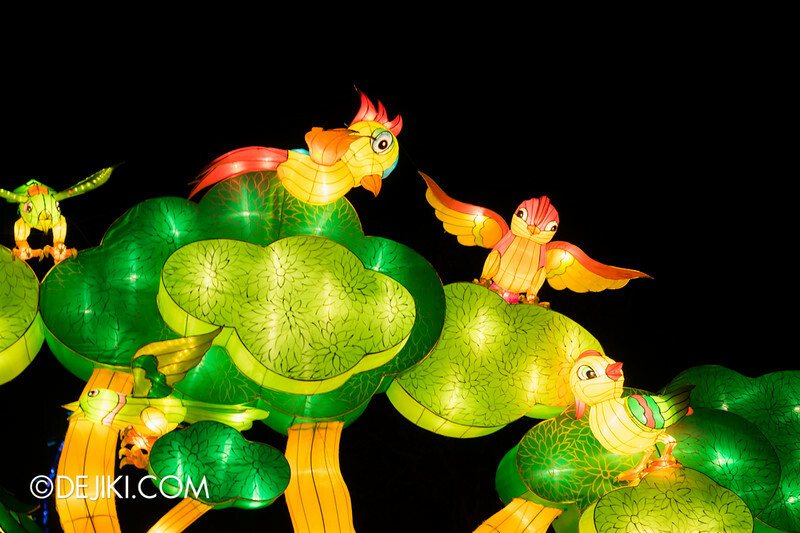 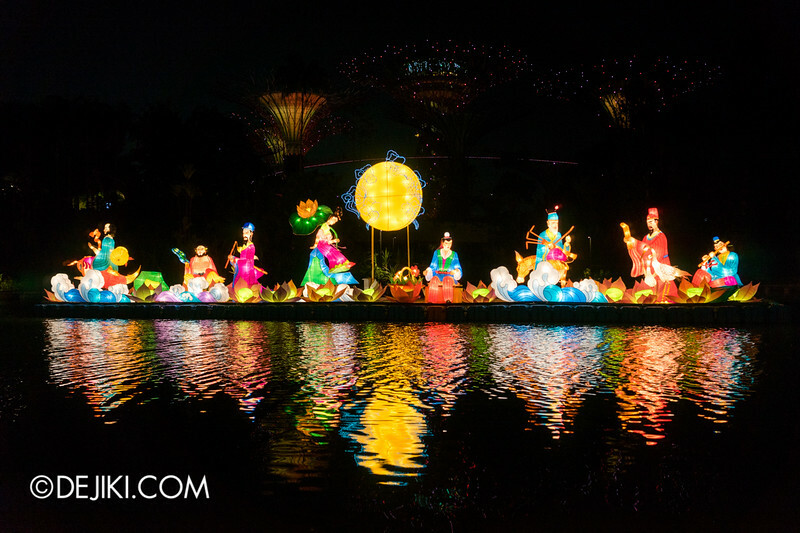 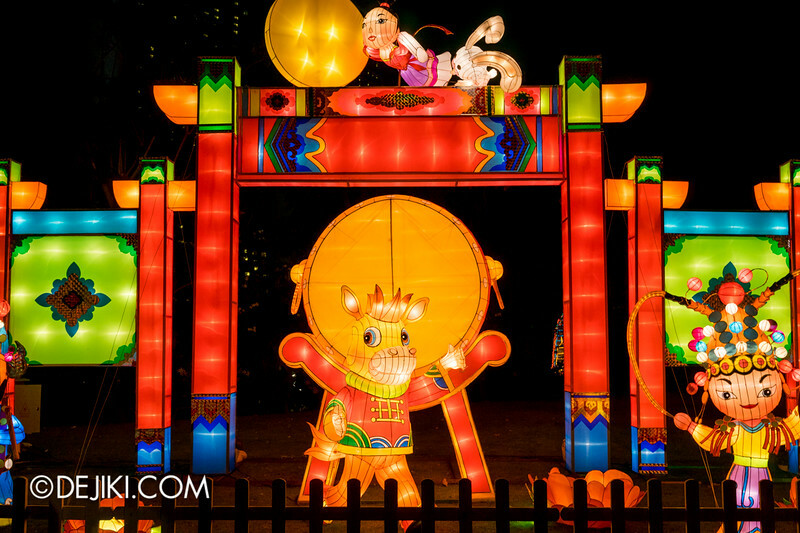 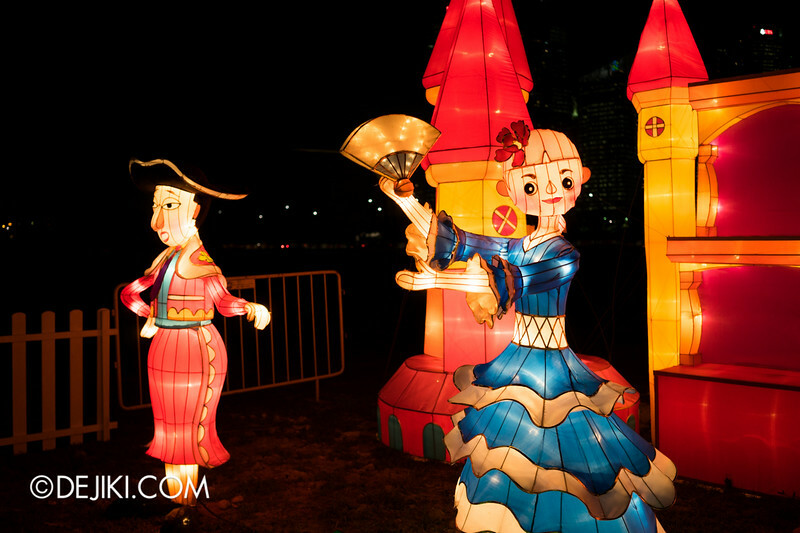 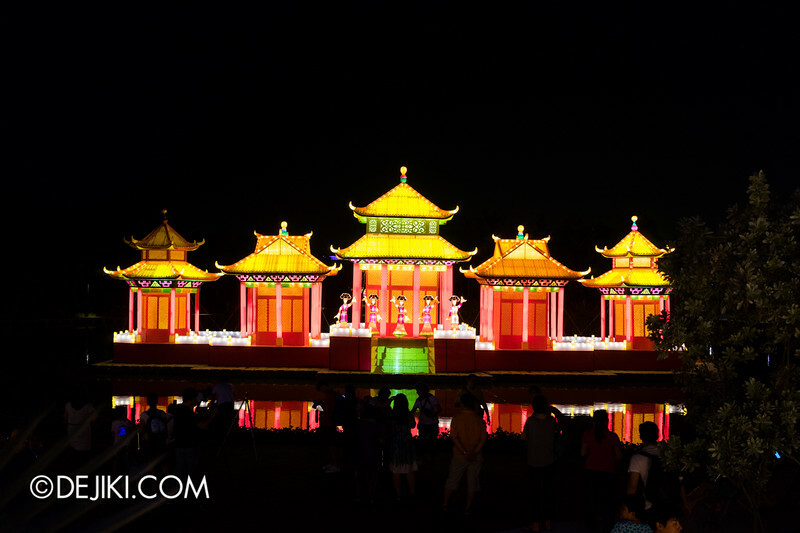 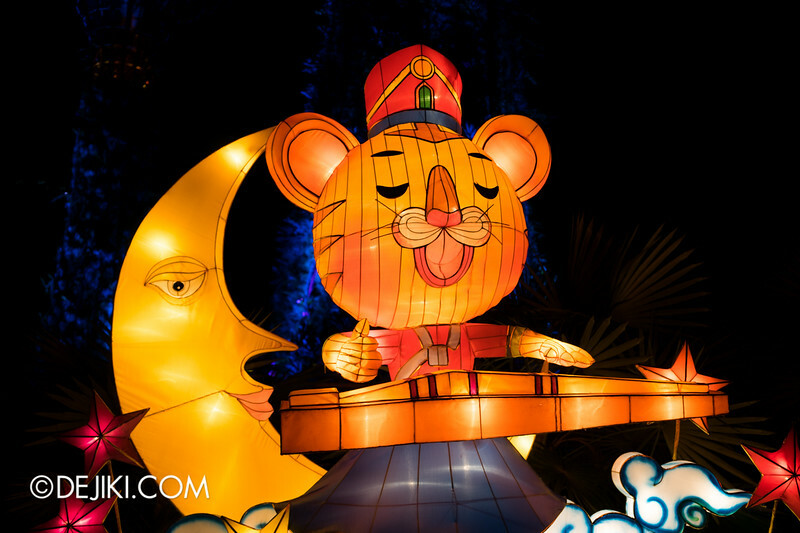 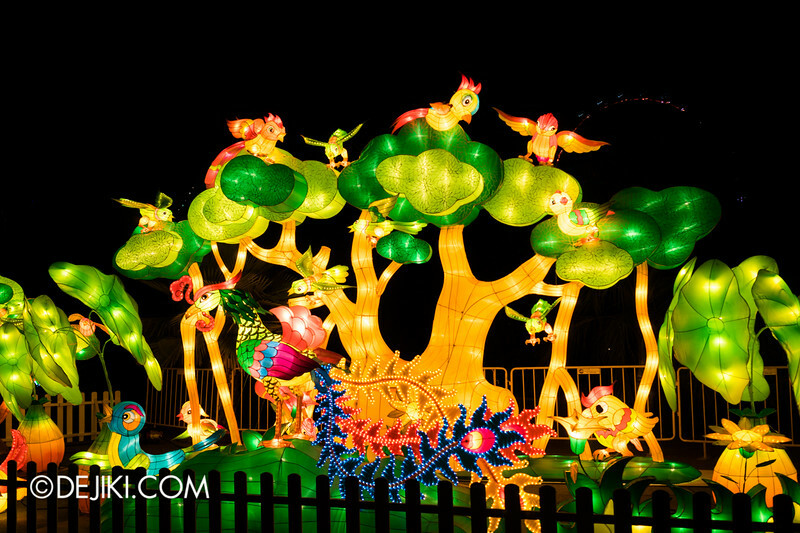 Enjoy a photo tour of the Mid-Autumn Festival at The Gardens here at Dejiki.com. 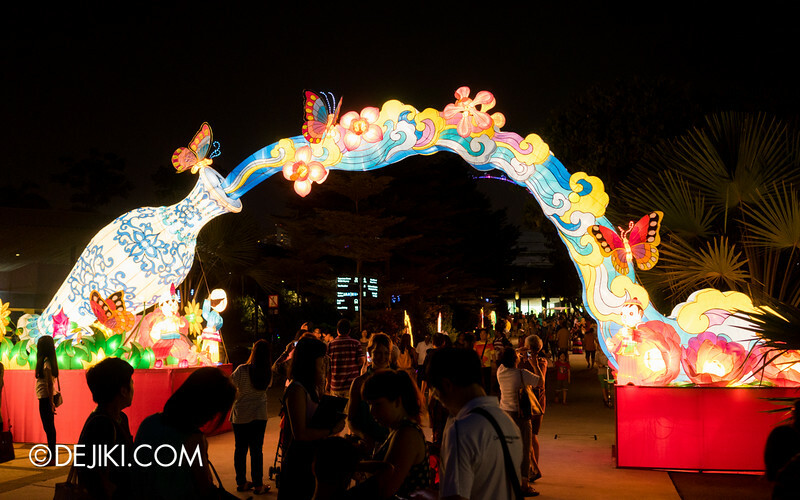 The festival this year feels more compact. 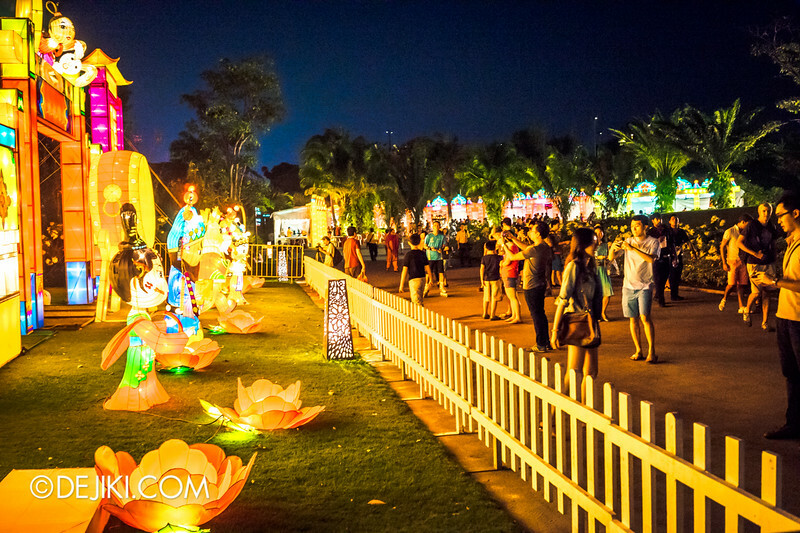 Due to the Singapore Garden Festival, the Meadow area of the Gardens was not used for the event. 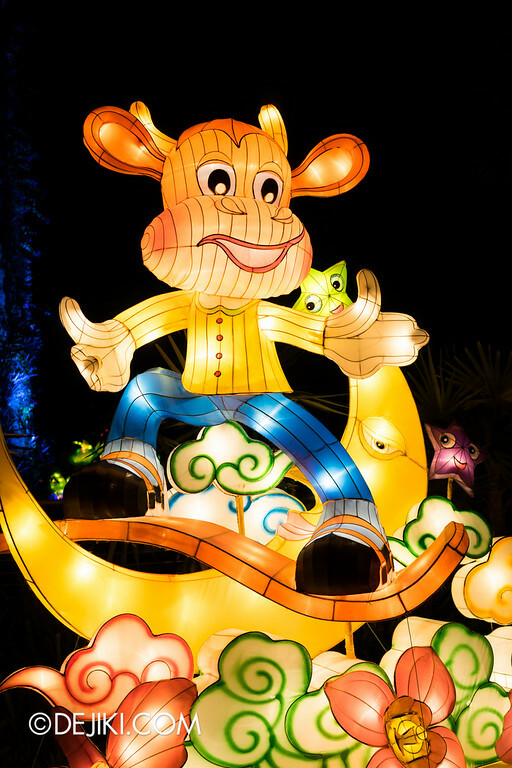 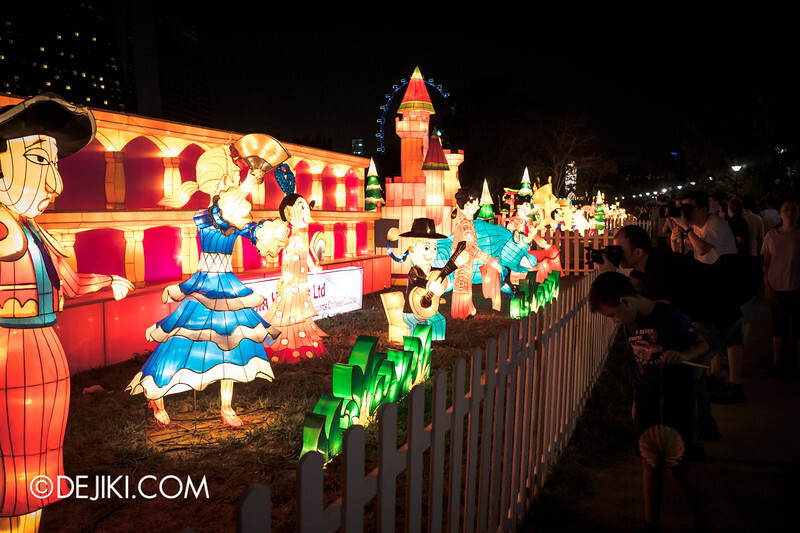 Instead, lanterns can be found along the path that circles around the Bay South Gardens. 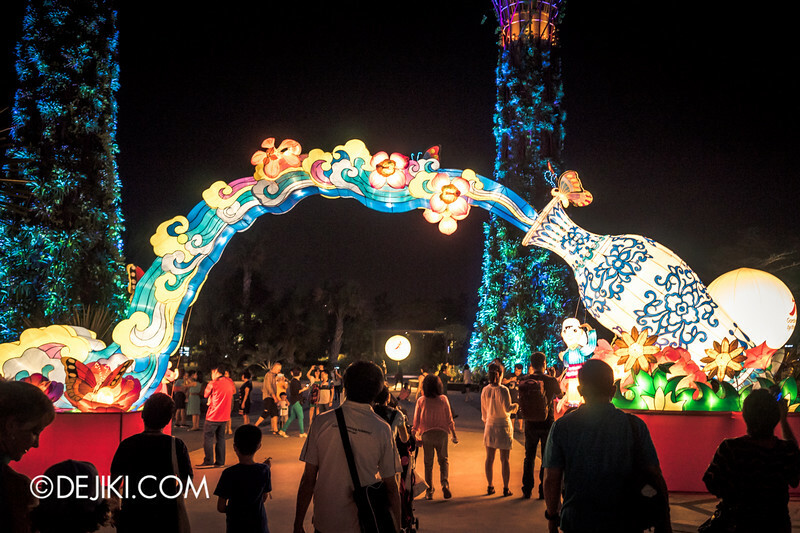 In a way, this makes walking around the lantern displays much easier. 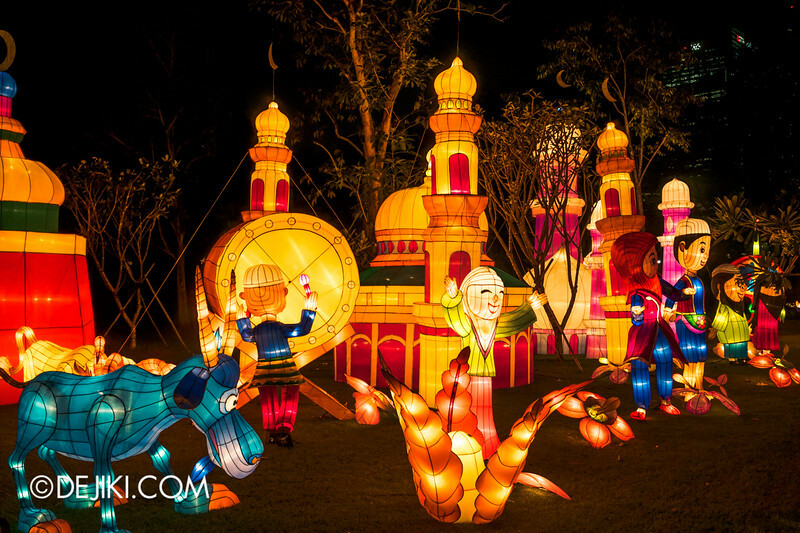 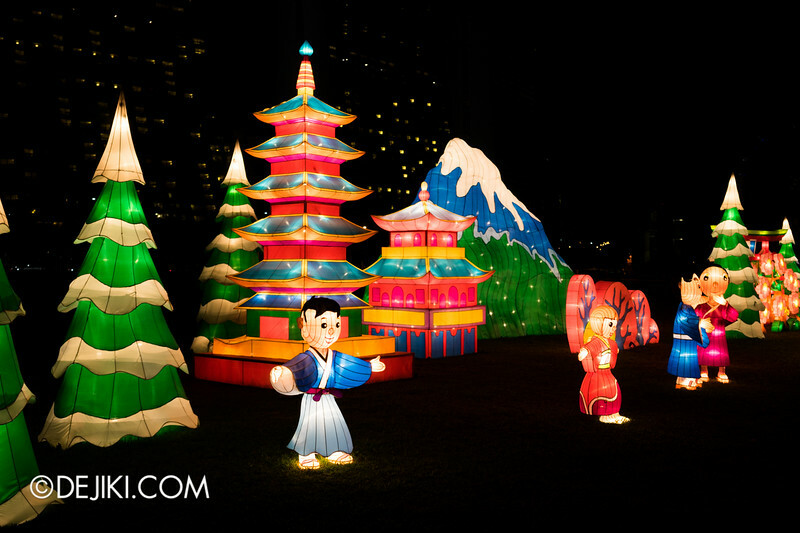 There are thematic areas for lantern displays. 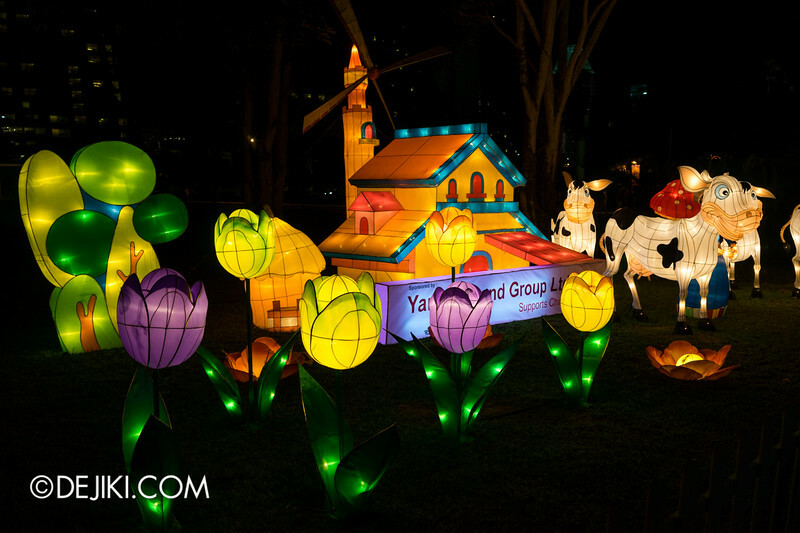 The first one here is “Racial Harmony”. 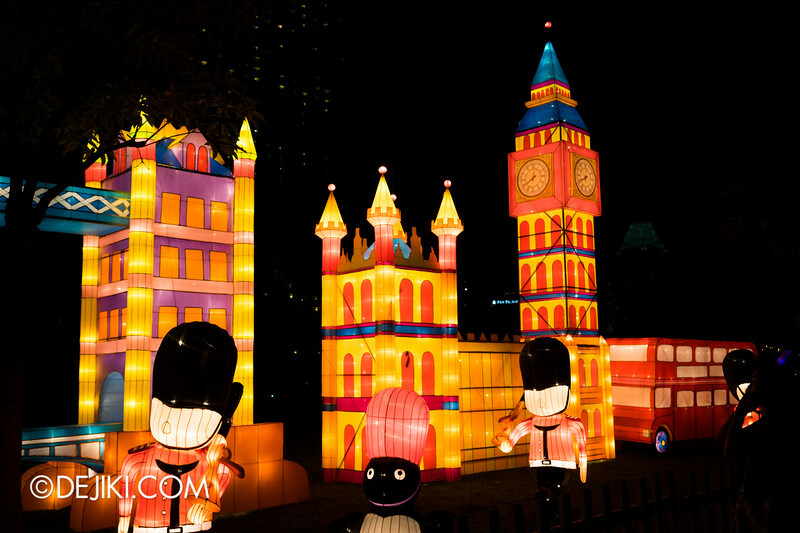 Moving on: Visit famous (lantern) landmarks from around the globe. 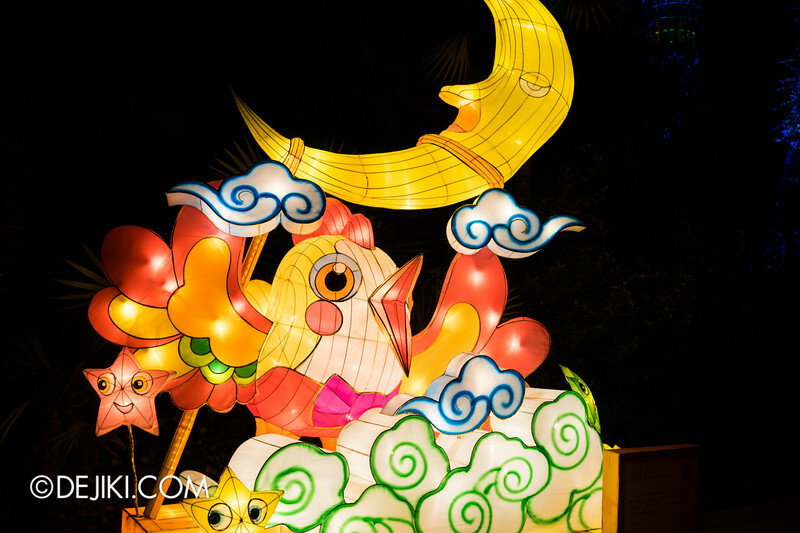 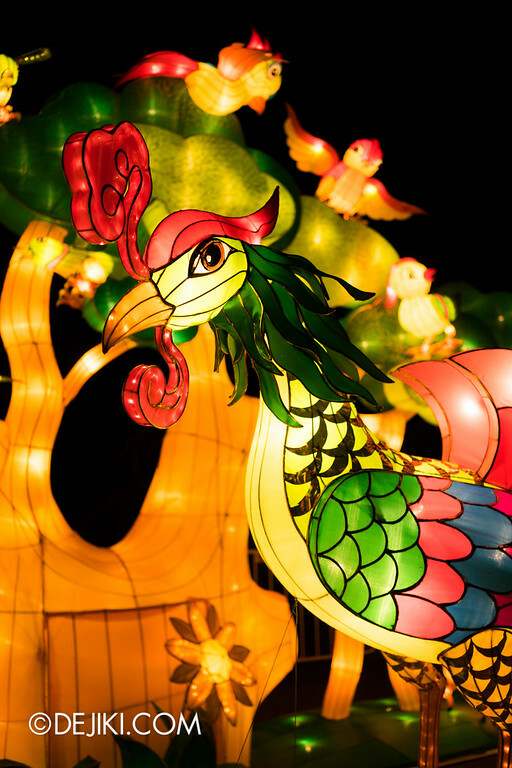 12 Chinese Zodiac lantern displays surround the Silver Leaf garden. 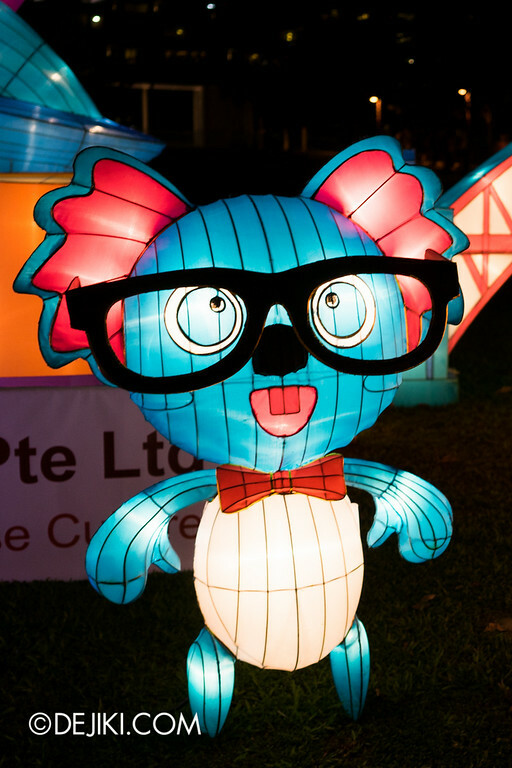 Some of them are quite adorable. 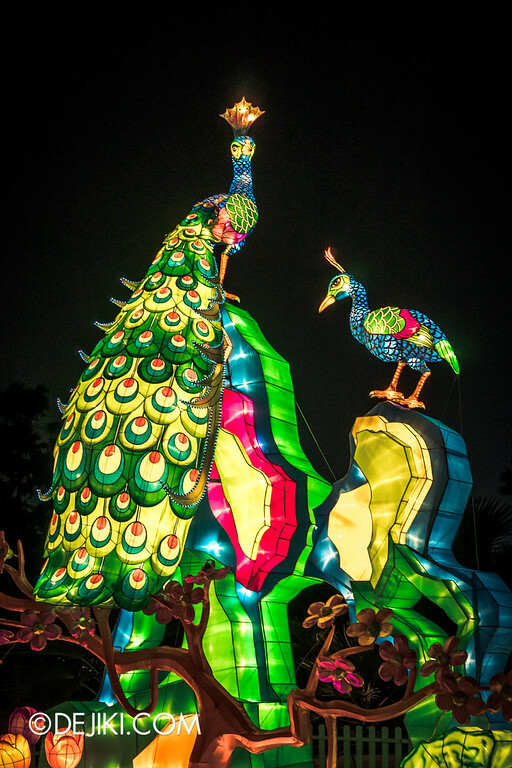 The Birds of Paradise. 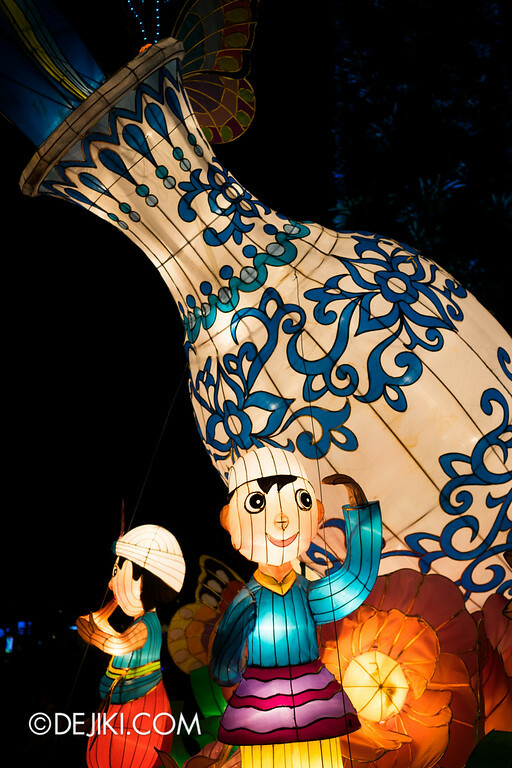 This is one of the more elaborate lanterns displayed at the Gardens, and can be found at the Silver Leaf section. 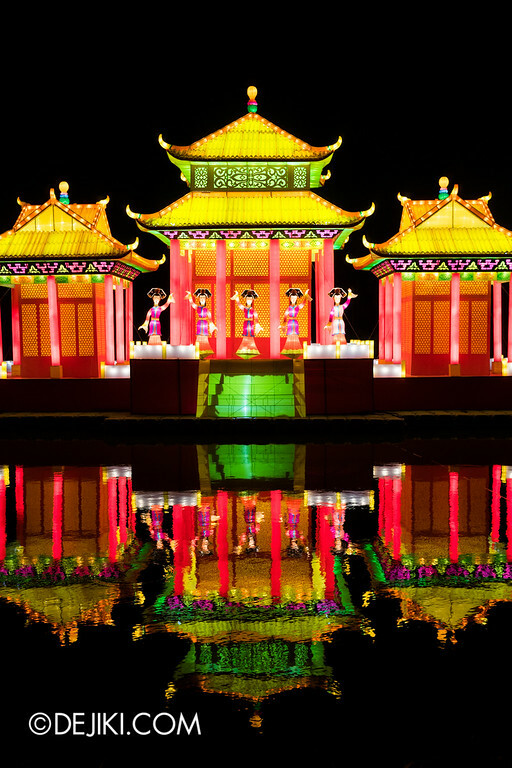 This is a free event, so I highly recommend visiting the gardens, especially if you would like to experience Chinese culture. 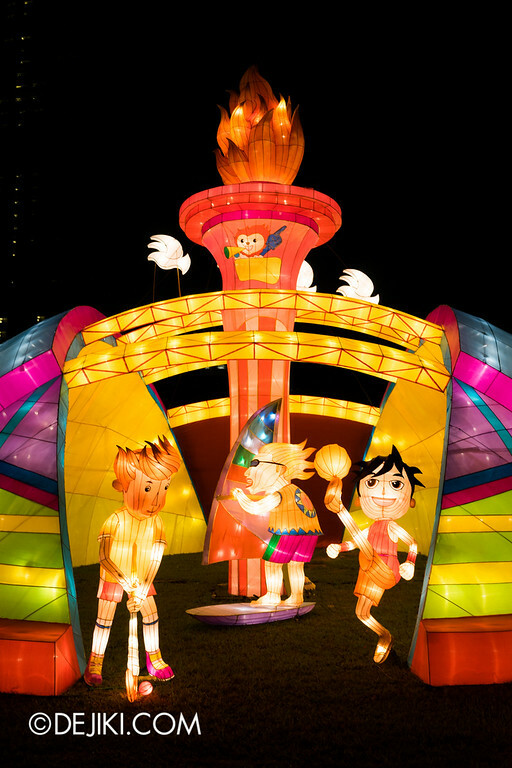 Lots of performances, activities and even food (!) 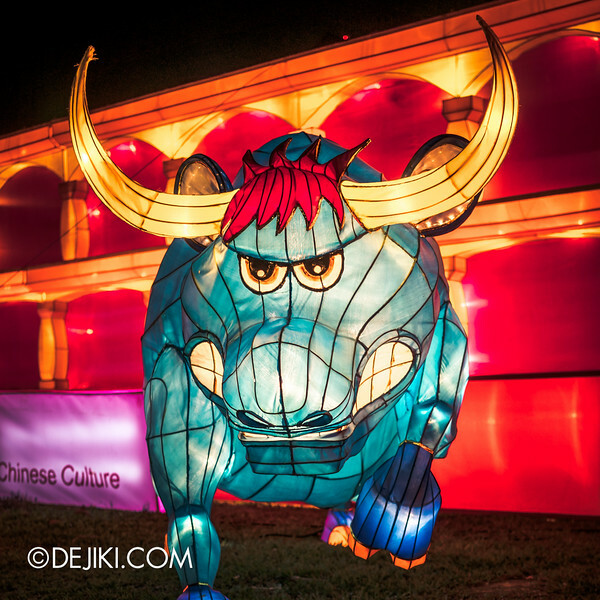 can be found at the festival. 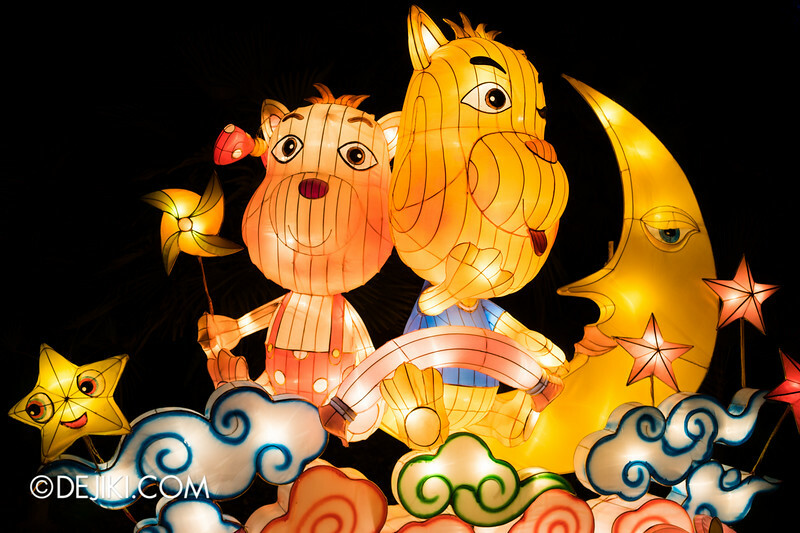 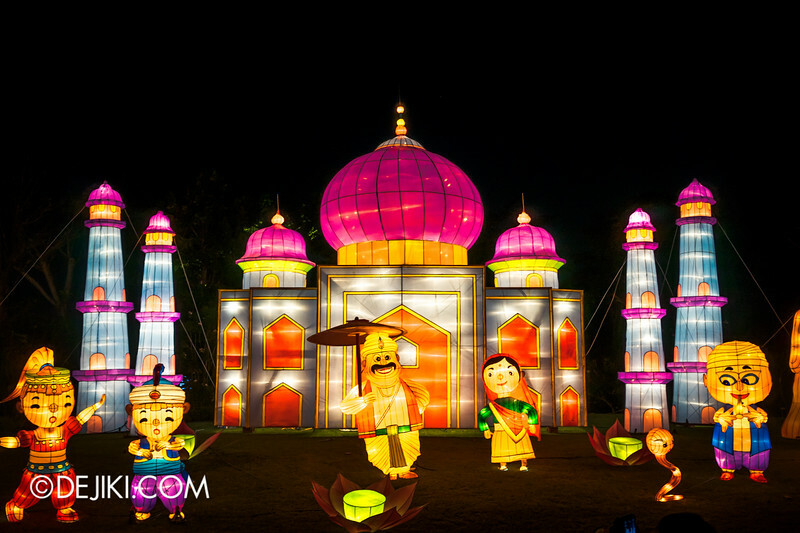 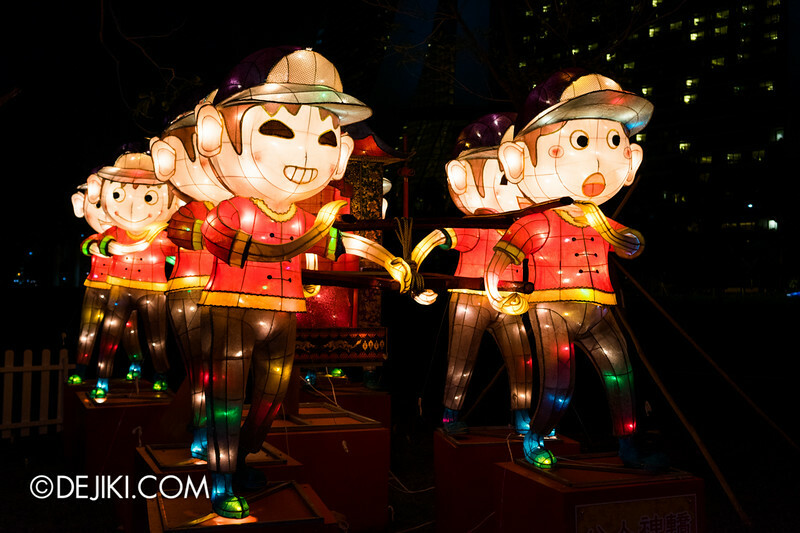 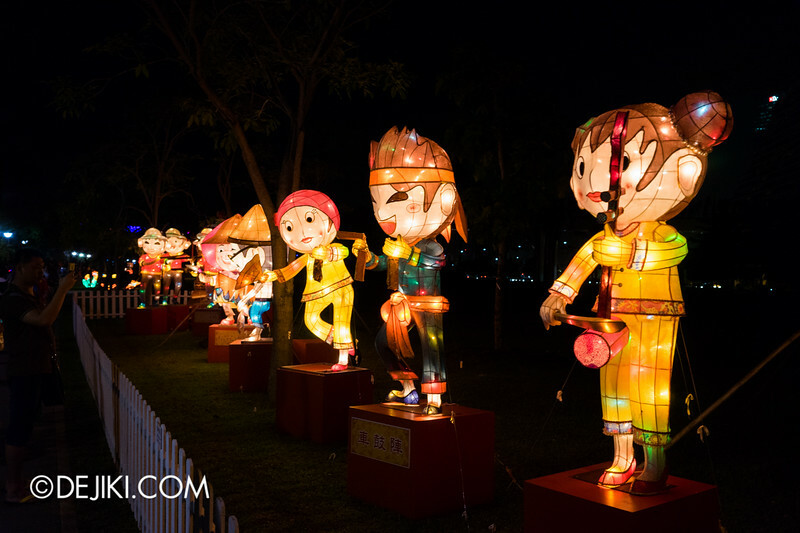 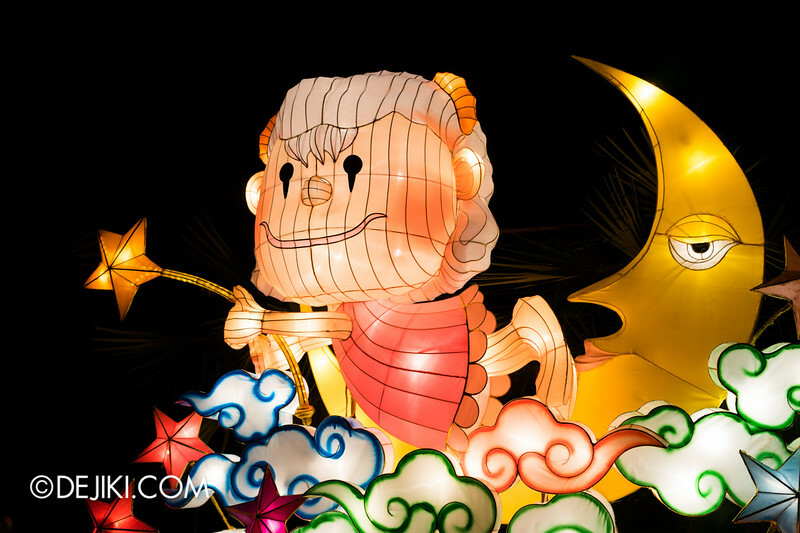 It’s also a great time to bring out those lanterns and walk around like a kid, or not..
Also, check out photos from the festival last year.